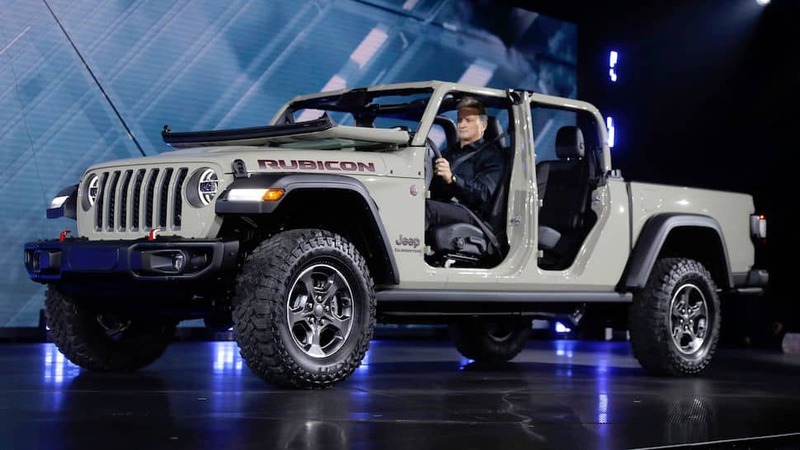 Los Angeles, California — The latest Jeep is hardly a new product: in various forms and with various names, it had been in production almost continuously from 1947 to 1992, and it’s something for which Jeep’s “most vocal fanbase” has been clamouring ever since. 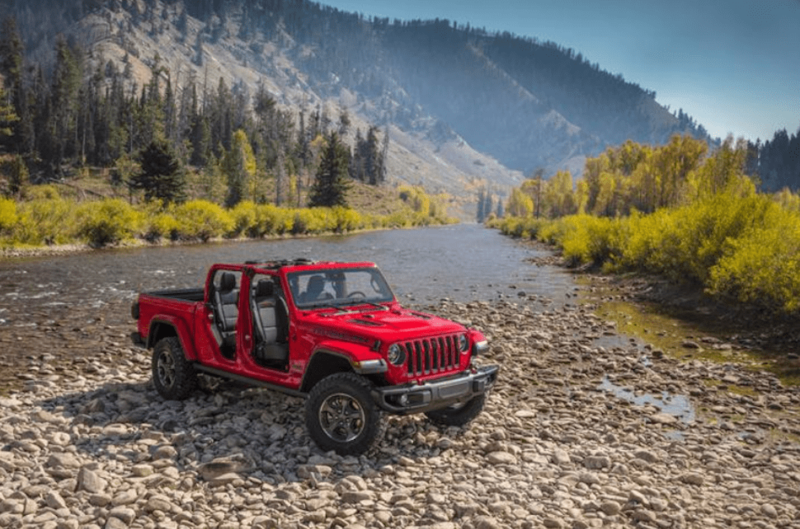 The 2020 Gladiator and Gladiator Rubicon hits the market in the latter part of 2019 and brings back a pickup truck to a brand that previously sold Scramblers and Comanches. 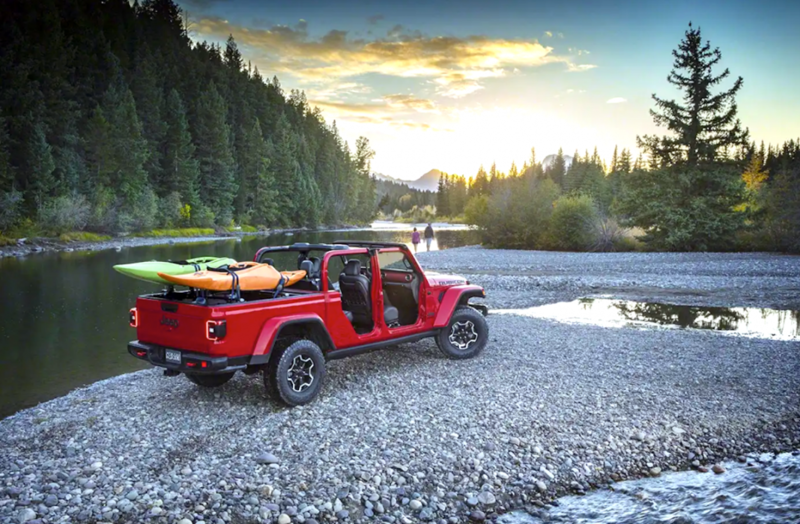 “Each time Jeep offers a new product to its portfolio, it introduces a new range of customers to the Jeep family,” said Tim Kuniskis, head of Jeep development. “We expand the Jeep lineup not by going out of our lane, but by widening it. The Gladiator, unveiled at the Los Angeles Auto Show, shares a platform, interior and front end with the 2019 Wrangler, but the similarities end there. At the rear is a traditional pickup truck bed, with either an optional removable soft top or a traditional hardtop roof. Powered by a 3.6-litre Pentastar V6, the Gladiator’s 285 horsepower and 260 pound-feet of torque. A six-speed manual transmission is standard while an eight-speed automatic is optional. A 3.0-litre EcoDiesel, with 260 horsepower and 442 pound-feet of torque, will be offered in 2020 with an eight-speed automatic as the only transmission. To that end, Gladiator offers three models: Sport, Overland and Rubicon. 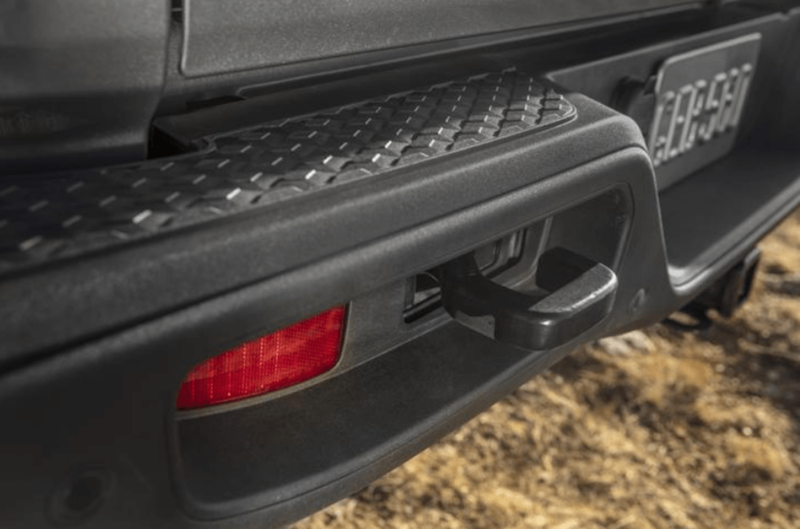 All three carry Jeep’s “Trail Rated” badge, which indicates the presence of skid plates, front and rear tow hooks, an approach angle of 43.6 degrees, a breakover angle of 20.3 degrees and a departure angle of 26 degrees. It will tow up to 7,650 pounds and haul up to 1,600 pounds of payload, while fording up to 30 inches of water. The Gladiator Rubicon, in addition to standard off-road bits such as the Dana 44 axles and Rock-Trac system, offers increased wheel articulation and wheel travel using its “segment-exclusive” electronic sway-bar disconnect, which allows the wheels to move independently for rock-crawling and other bumpy terrain. It also offers Tru-Lock locking differentials as standard equipment. Rubicon also offers a crawl ratio of 84.2:1 for extreme slow-speed crawling (77.2:1 on automatic-transmission models). “Thanks to our success with Ram, we know what it takes to compete in the truck segment,” Kuniskis said. The Gladiator may be a Jeep, but it’s also no slouch as a pickup, with a traditional steel truck bed with four cross members for strength, an available 400-watt 115-volt outlet in the bed, integrated tie-downs and an available Trail Rail Cargo Management System for additional storage options. Inside the cab, there’s also additional storage in the floor beneath the rear seats. As with the Wrangler upon which it’s based, drivers can remove the doors and fold down the windshield for an open-air experience. An appropriate toolkit is included, and stamped into each hinge is the size of the Torx bit required to loosen its bolts. Gladiator will be built at Jeep’s Toledo, Ohio assembly plant. We’ll have pricing once officially announced. Read all our Jeep reviews here.